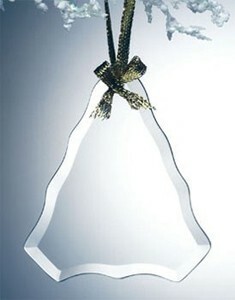 Jade Glass Ornament - Tree. These jade ornaments are excellent gift ideas for friends and loved ones, or unique promotional gifts! Gold ribbon included. 3-3/4" x 3-1/4" x 1/8"
Measurement:	3-3/4" x 3-1/4" x 1/8"
Imprint Area:	1.75" x 1-3/8"